THIS ONAN POINT AND CONDENSER & SET FITS TWINS WITH A SINGLE SCREW HOLDING THE POINT COVER ON THE POINT BOX.LIKE B43 B48 AND MANY OTHERS. AS MUCH WORK AS IT IS TO REPLACE YOUR POINTS NEVER REPLACE THEM WITHOUT TESTING OR REPLACING YOUR CONDENSER. JOHN DEERE HE1402628. 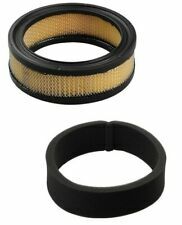 Filter replaces Wheelhorse NN10774. Replaces OEM #: NN10774. ONAN 140-1228. ONAN 140-2522. ONAN 140-262. JOHN DEERE HE1402522. JOHN DEERE AM-106953. THIS ONAN POINT AND COND & SET FITS TWINS WITH 2 SCREWS HOLDING THE POINT COVER ON FROM THE SIDE OF THE POINT BOX.LIKE BF AND MANY OTHERS. AS MUCH WORK AS IT IS TO REPLACE YOUR POINTS NEVER REPLACE THEM WITHOUT TESTING OR REPLACING YOUR CONDENSOR. ONAN VALVE GRIND- DECARBON GASKET SET IF YOU WANT TO EXTEND THE LIFE OF YOUR BF B43 B48 P-216-218-220 ONAN ENGINE YOU NEED TO REMOVE THE CARBON AND CLEAN THE COOLING FINS AND ADJUST THE VALVES EVERY 200 HOURS OR SO. The wires are 27" in length and can be cut to length and the supplied ends installed to fit either the old style coil with screw on wire retainers or the new boot style coil. This set of (2) will fit many Onan engines. 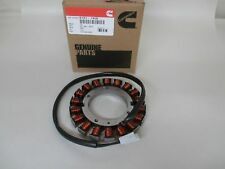 Get that Onan CCK CCKA or CCKB engine running again with a new set of genuine Onan 160-0002 points and 312-0069 condenser. 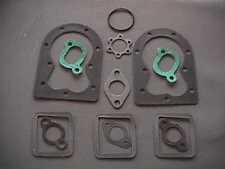 They will fit the Onan engines I have listed that have a points box with a flat side cover plate held on with 2 screws. FITS BF B43-48 P216-220 CCK CCKA CCKB NH NHC P224 AND MOST OTHER ONAN THEY DO HAVE A SILICON BEAD FOR BETTER SEALING. THIS REPLACES ALL THE OLD SOLID STATE TYPE IGNITION CONDENSORS ON P MODEL ONANS. 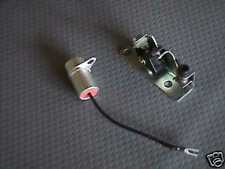 THIS REPLACES SOLID STATE TYPE IGNITION MODULES ON MOST ONANS INCLUDING P WITH SOLID STATE. THIS ALSO REPLACES THE COIL AND TRIGGER WHEEL AND CONDENSER THIS IS OUR NEW DESIGN IT FIRES WITH LESS MAGNETISM AND GIVES A STRONGER PULSE TO THE COIL. 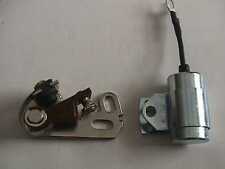 Genuine Walbro K10-WIP Impulse Fuel Pump Repair Kit. Fits the following carburetor numbers. 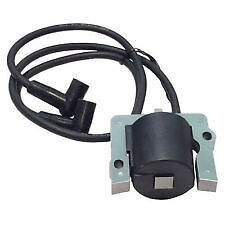 THIS REPLACES ALL THE OLD POINTS TYPE IGNITION COILS ON MOST ONANS ENGINES NOT SOLID STATE. THESE CAN BE CHECKED WITH AN INDUCTION TESTER POINTS COILS NEVER USE 3 LEGGED MOUNTING BKTS THEY WILL NOT FIT. 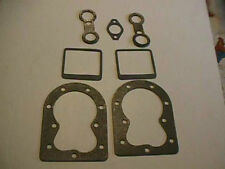 This is the complete engine gasket set for the P and B series engines. 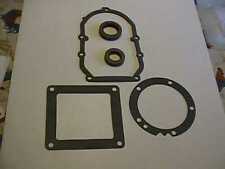 Look at the pictures to see what all gaskets are in the set. There is also a torque spec sheet with the kit. THIS ONAN POINT AND CONDENSER REPLACES ONAN 160-0002 points and 312-0069 condenser THIS SET FITS THE EARLY MODELS. THIS ONAN intake and carb on a all the B and P series. 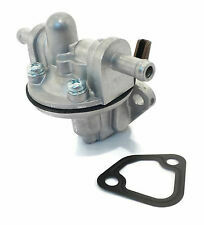 This replace the onan part # 142-0549 B43 BG BF series engines with marvel schebler dd series carburater with fuel pump. 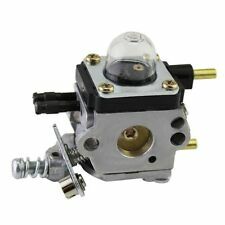 We carry a full line of carburetor kits for onan series engine we also carry the brass floats to go with your dd carburetor this will replace the old composite floats. Engine make: onan. all item's are as described. THIS ONAN POINT AND CONDENSER & SET FITS TWINS INCLUDING JOHN DEERE 316-318-420 AND MANY OTHERS WITH A SINGLE SCREW HOLDING THE POINT COVER ON THE POINT BOX.LIKE B43 B48 AND MANY OTHERS. AS MUCH WORK AS IT IS TO REPLACE YOUR POINTS NEVER REPLACE THEM WITHOUT TESTING OR REPLACING YOUR CONDENSER. Model: A, B, & P 12.5 - 20HP. Manufacture Part Number: 191-1748. 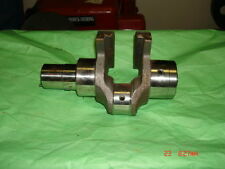 Other mfg/part no: 191-2106, 191-2208, 191-2227. Valve Grind-Decarbon Gasket Set:If you want to extend the life of your BF B43 B48 P-216-218-220 engine,you need to remove the carbon and the clean the cooling fins. Then adjust the valves every 200hour. THIS GASKET KIT WITH SEALS FITS ONAN CCK CCKA CK AND ALL TYPES OF EQUIP.WITH THESE TYPE ENGINES WE CARRY A COMPLETE LINE OF ONAN PARTS. ONAN 140-3010. PAPER AIR FILTER. PREFILTER FOAM. WRAP (PREFILTER) FOR KOHLER #235116S. HEIGHT:1-7/8". KOHLER 237421S. JOHN DEERE M45800. GRAVELY 20277600. ONAN SPARK PLUG WIRE. WIRE IS 15" LONG. I CAN TAKE ANYONE'S BY PHONE. Two new in the box Onan CCK pistons plus. 010". These NOS pistons will fit all Onan generators using the CCK engines. Many lawn and garden tractors, such as, John Deere, Gravely, Craftsman and Cub have used the CCK engines. THIS RING SET IS FOR ONE PISTON DESIGNED TO FIT ONAN ENGINES WITH 3 1/4 BORE THAT USE PART NUMBER 113-0314. std.PISTONS RING SET THIS HAS A. 078 TOP RING FOR OUR TYPE OF NEW PISTONS. Genuine Onan 191-0885 Amp Stator . Condition is New. Shipped with USPS Priority Mail. Paper Air Filter Replaces Onan 140-3010. 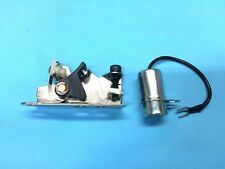 Fits 12.5 to 14HP E125V, E140V, E125V (Begin Spec C), E140V(Begin Spec C), E125H, E140H. Fits Cub Cadet Models 2140, 2145 & 2146. Uses Rotary 1377 Prefilter. Number and what the engine is used on and I will make sure you get the correct parts. Can't see the button or didn't work?. Still didn't work?. Try replacing your mouse. If you don't have a #2 break a #4 in half. B uzzard Bait Ranch. This my only be of interest to lawyers and fans of fine print. THIS GASKET KIT FITS ONAN CCK CCKA CK AND ALL TYPES OF EQUIP.WITH THESE TYPE ENGINES WE CARRY A COMPLETE LINE OF ONAN PARTS. 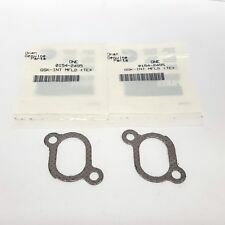 THIS GASKET KIT WITH SEALS FITS ONAN BF B43-48 P 216-218 AND ALL TYPES OF EQUIP.WITH THESE TYPE ENGINES WE CARRY A COMPLETE LINE OF ONAN PARTS. Item condition: new, good, THESE ARE FOR THE PUSH IN STYLE COIL NOT THE THREADED STYLE THESE ARE FOR ONAN B SERIES WITH POINTS, NOT FOR P SERIES WITH ELECTRONIC IGNITION . if unsure of the fit of part. Onan P216G P218G P220G P224G B43E B48G B48G B43 B48 P218 P220. Used Onan P224G (24HP) Twin Engine- Ignition Magnet, Removed in working order, Cleaned, Ready To Use. Check out all My pictures. Changing Your Mind. Ordering By Mistake. Not knowing the part you needed.